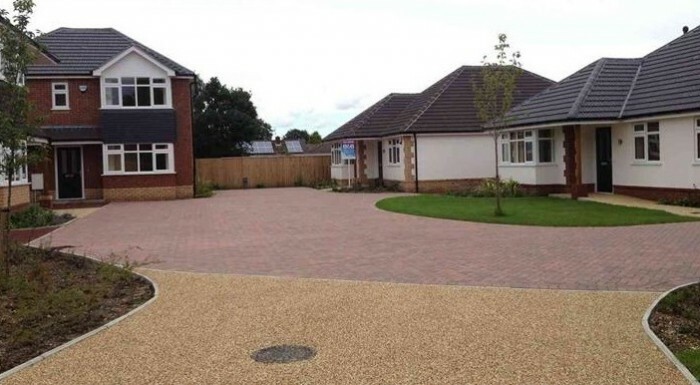 There is a myriad of materials and colours available for gravel driveways – natural stone chippings and decorative gravel in a wide range of colours. A good choice of material can make a driveway look stunning. It’s cheap, easy to lay, low maintenance and looks good, particularly where it matches the predominant stone and brick colouring of the area. Steve Collins offer an immense choice of size, colour and texture, so it’s a good choice for resurfacing. Gravel driveways work particularly well for long, sweeping approaches to a large property and there is something special about the crunching sound of your wheels on the gravel as you approach your home! Want a Free, No Obligation Quote? Contact Us Today! We take the same care over the preparation of the site for laying concrete driveways. The sub base preparation is just as important to ensure a long and trouble free life for concrete driveways. We use high quality ready mix for the concrete slab. Concrete can sometimes be overlooked as a potential surface, mostly because of its lack of colour or interest. It is a very hard wearing and very low maintenance surface though and combining plain concrete with a decorative edging, such as a brick, we can make it look extremely attractive.